Turn that frown upside down, unless you want to hang delicate clothes. Huh? 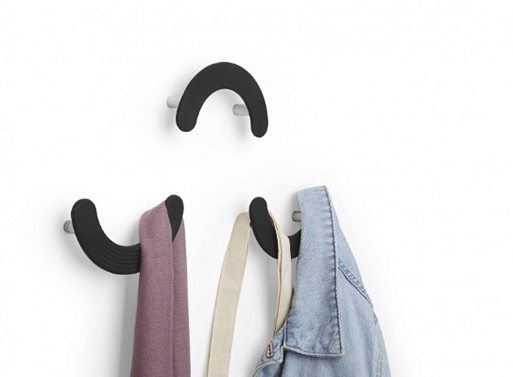 The Mood Hook is a curved hook that you can install either way to hang your belongings. The metal shape has a silicon sleeve that’s gentle on clothing and prevents things from falling off. There’s three in each set, so you’ll be able to group them together in whatever sort of ‘mood’ you prefer in your functional wall art. 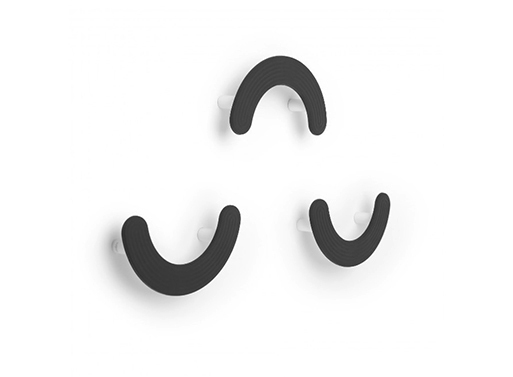 All mounting hardware is included and each set comes with three hooks. Holds up to 10 lbs. per hook. Each hook measures 6 x 1.25 x 3.25 inches. Available from Umbra , $15.00.